Modern Family Room Creative | Mediacom Inc.
It’s been a long day at the office and you need to relax. You come home, only to find an outdated family room with a television you have to walk up to it to turn on. This is an all too familiar situation for many busy families today. As hardworking professionals, we understand the need for an oasis in the home. You need a place to retreat to after a long day. With this in mind, the MediaCOM team has created a solution just for you. We know how to setup and create a modern family room. Our team comes into your home and starts by creating a family room strategy. 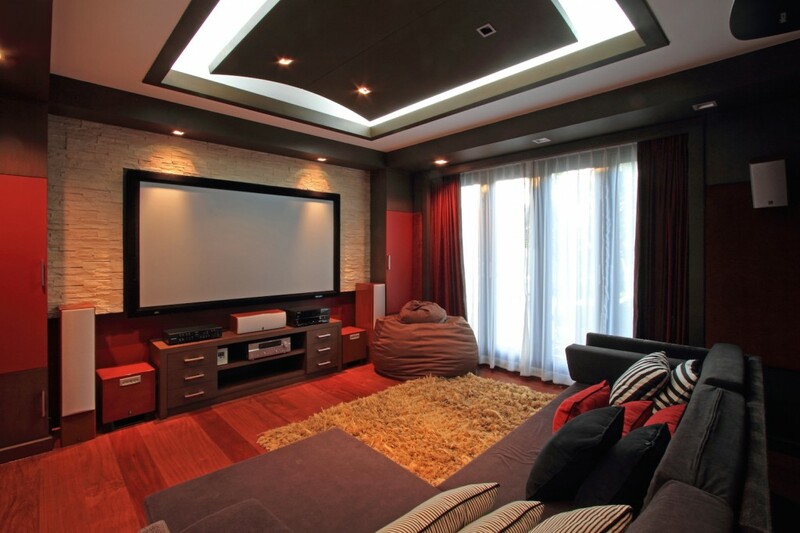 Your room is laid out in a way that encompasses the perfect family room for the space. It’s not just about the technology, but it’s also about having the right atmosphere. That’s where we start. After that, we move into the important technology aspect. We’ll give you advice on the ideal technology setup, help you link all your devices together, and help you get completely setup. Once our team completes your family room, you won’t understand how you ever relaxed before it! Our team has over 30 years of technology experience, which gives us the expertise to create a great environment for your modern family room. Let us get started today, and you can begin enjoy the retreat that you and your family deserves! FIND OUT MORE!